1LT!! VROOM VROOM!! BLUETOOTH!! BACKUP CAMERA!! APPLY CAR PLAY!! REMOTE KEYLESS ENTRY!! 8 TOUCH SCREEN AUDIO SYSTEM!! 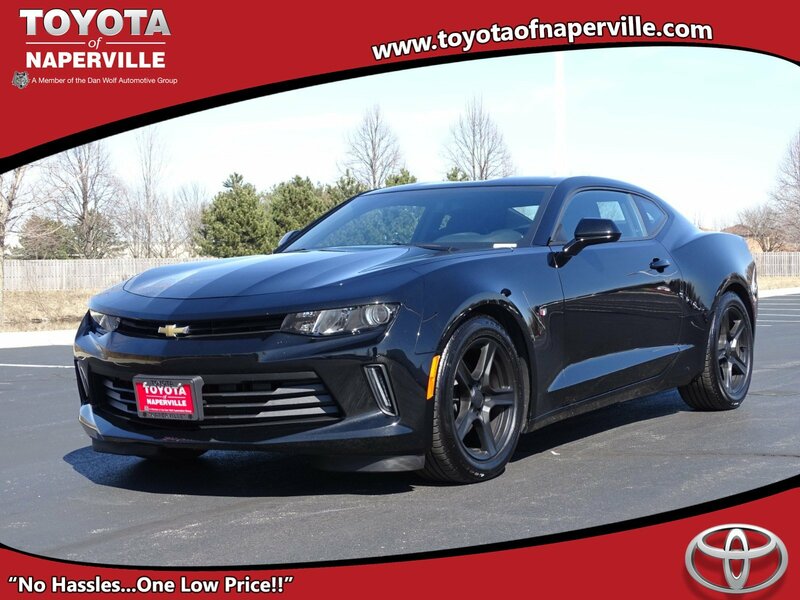 2018 CHEVROLET CAMARO!! BEST COLOR COMBO ON THE PLANET, MOSAIC BLACK METALLIC EXTERIOR ON JET BLACK CLOTH INTERIOR!! 3.6L V6 ENGINE UNDER THE HOOD!! ONE OWNER VEHICLE!! NO ACCIDENTS!! 8-SPEED AUTOMATIC TRANSMISSION!! LETS GO OVER ALL THE FEATURES ON THIS LOADED UP SPEED CRUISER!! 8-WAY POWER DRIVER SEAT, 6-WAY POWER FRONT PASSENGER SEAT, VEHICLE REMOTE START, POWER OUTSIDE MIRRORS, SPORT SUSPENSION, PADDLE SHIFTERS, DAYTIME RUNNING LIGHTS, BLUETOOTH, USB PORTS, 18 WHEELS, DUAL EXHAUST TIPS, 8 TOUCH SCREEN AUDIO SYSTEM, APPLE CARPLAY, REMOTE KEYLESS ENTRY, BACKUP CAMERA, ALL SERVICED UP WITH A 160-POINT USED INSPECTION!! 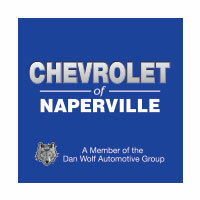 BUT WAIT LADIES AND GENTLEMAN THERE IS MORE….LETS TALK SOME WARRANTY…YOU WILL GET THE REMAINDER OF CHEVY’S 36 MONTHS OR 36,000 MILES BUMPER TO BUMPER WARRANTY GOOD UNTIL 06/09/2021 OR 36,000 MILES PLUS, THE REMAINDER OF THE 5 YEAR OR 60,000 MILES POWERTRAIN WARRANTY GOOD UNTIL 06/09/2023 OR 60,000 MILES!! WORRY FREE DRIVING FOLKS!! 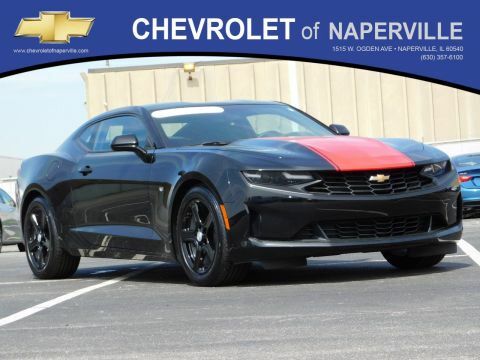 COME ON IN TODAY AND TAKE THIS LOADED UP CAMARO FOR A SPIN AROUND OUR TOYOTA OF NAPERVILLE TEST TRACK!! SEE YA SOON….ONE LOW PRICE, PLAIN AND SIMPLE…ALWAYS!! 1LT!! VROOM VROOM!! BLUETOOTH!! BACKUP CAMERA!! APPLY CAR PLAY!! REMOTE KEYLESS ENTRY!! 8 TOUCH SCREEN AUDIO SYSTEM!! 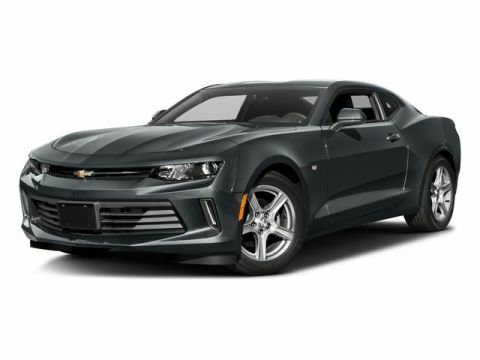 2018 CHEVROLET CAMARO!! BEST COLOR COMBO ON THE PLANET, MOSAIC BLACK METALLIC EXTERIOR ON JET BLACK CLOTH INTERIOR!! 3.6L V6 ENGINE UNDER THE HOOD!! ONE OWNER VEHICLE!! NO ACCIDENTS!! 8-SPEED AUTOMATIC TRANSMISSION!! LETS GO OVER ALL THE FEATURES ON THIS LOADED UP SPEED CRUISER!! 8-WAY POWER DRIVER SEAT, 6-WAY POWER FRONT PASSENGER SEAT, VEHICLE REMOTE START, POWER OUTSIDE MIRRORS, SPORT SUSPENSION, PADDLE SHIFTERS, DAYTIME RUNNING LIGHTS, BLUETOOTH, USB PORTS, 18 WHEELS, DUAL EXHAUST TIPS, 8 TOUCH SCREEN AUDIO SYSTEM, APPLE CARPLAY, REMOTE KEYLESS ENTRY, BACKUP CAMERA, ALL SERVICED UP WITH A 160-POINT USED INSPECTION!! BUT WAIT LADIES AND GENTLEMAN THERE IS MORE....LETS TALK SOME WARRANTY...YOU WILL GET THE REMAINDER OF CHEVY'S 36 MONTHS OR 36,000 MILES BUMPER TO BUMPER WARRANTY GOOD UNTIL 06/09/2021 OR 36,000 MILES PLUS, THE REMAINDER OF THE 5 YEAR OR 60,000 MILES POWERTRAIN WARRANTY GOOD UNTIL 06/09/2023 OR 60,000 MILES!! WORRY FREE DRIVING FOLKS!! 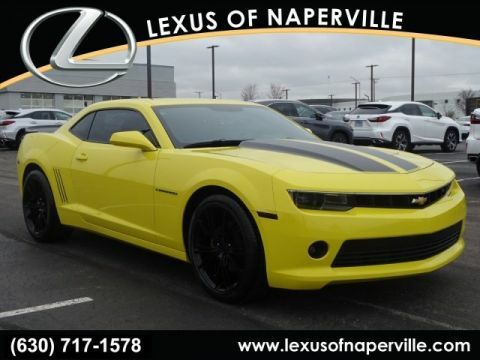 COME ON IN TODAY AND TAKE THIS LOADED UP CAMARO FOR A SPIN AROUND OUR TOYOTA OF NAPERVILLE TEST TRACK!! SEE YA SOON....ONE LOW PRICE, PLAIN AND SIMPLE...ALWAYS! !